I will pick a random winner that will win a little box filled with already cut out cut files. The challenge ends next wednesday June 11. Thank you for watching. In the end it's really just you who makes it worth it to me. Lovely, just sooo lovely! Those colors are so vibrant in front of the chalkboard black... Love your doodling, this looks so easy watching you, yeah and your handwriting. I listend to the podcast a few days ago and thought: I have to try it again and again! Thank you Wilna, I hope you'll feel better soon!! Wilna, can you tell me the title of that piano song? 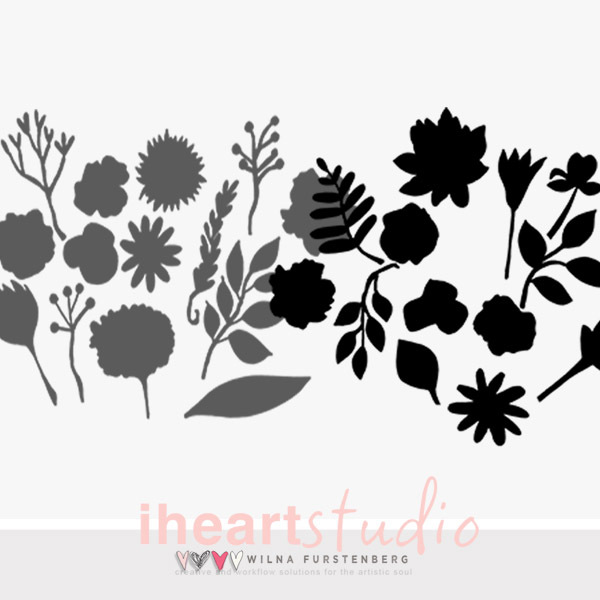 Do the flowers have to be created with the Silhouette for the challenge? I don't have one, but would love to win this prize, so am thinking I will do my first ever challenge. 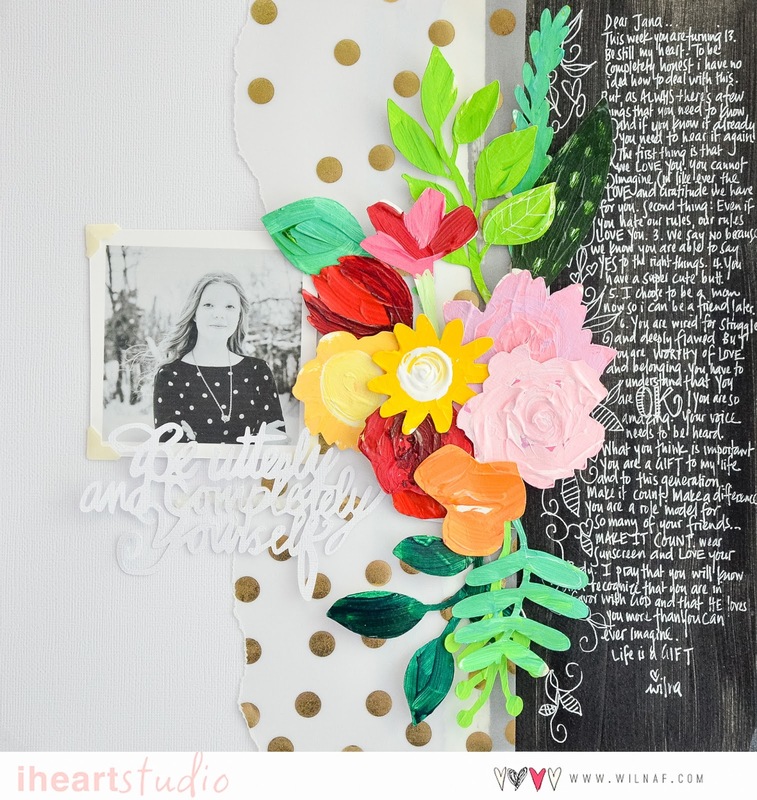 Love how easy you make it look to create these gorgeous flowers. I've been buying gesso & acrylic (thick stuff!) etc. so I can play too. Thank you so much for another art lesson. Thank you for listing all of the products you used...so many blogs do not do so! Wilna, first of, i hope you are feeling better and secondly, this is one of my all time favourite ever pages that i have ever seen. Thanks for the tutorial, i just ordered some acrylic paints now i just have to see if I'm game enough to try it.